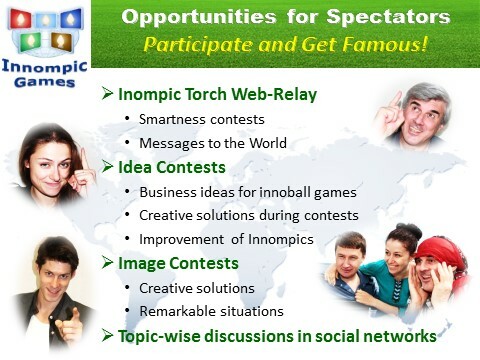 The best innovation teams and individual innovators are identified based on their participation in all Innompic contests. Big medals for overall performance and small medals for individual contests are awarded to the winners. 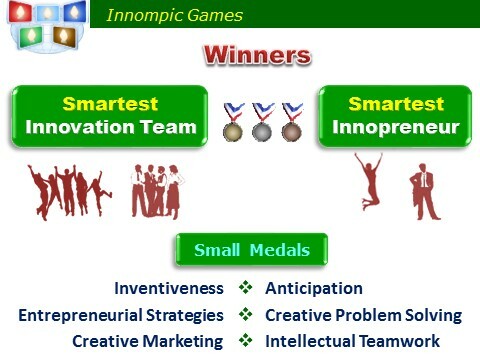 The World's smartest innovators, teams and team leaders are identified through a series of entrepreneurial creativity contests that include various blitz contests and the innopreneurial game "Innoball"
The smartest innovation team is defined based on its overall rating that reflects the team capability to both invent and commercialize the invention, develop a winning business model, and build a sustainable competitive advantage. 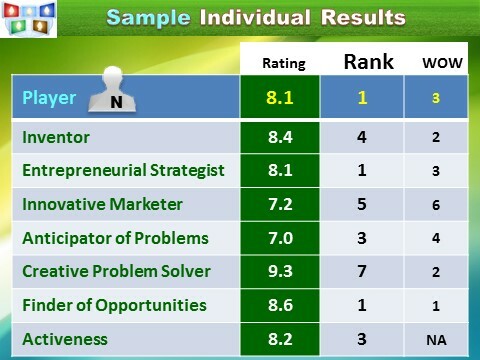 The smartest innovators are defined based on their overall rating and subratings for inventiveness, creating advertising slogans, creative problem solving, turning problems to opportunities, anticipating opponents' moves, and activeness. 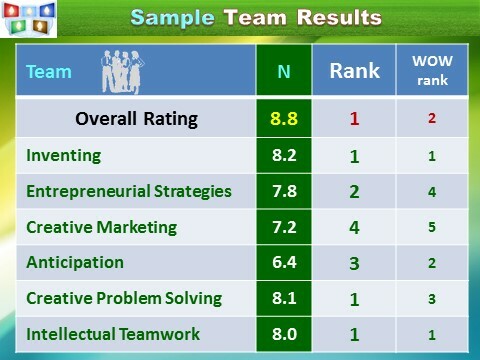 who are consistently able to select the best idea out of all ideas generated by the team members. 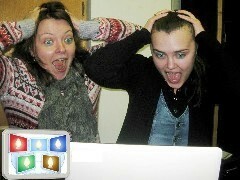 Active spectators (Actators) are awarded special best-idea prizes. 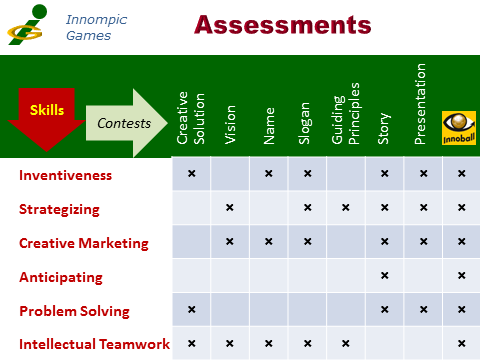 evaluate ideas submitted by the team members and spectators respectively.